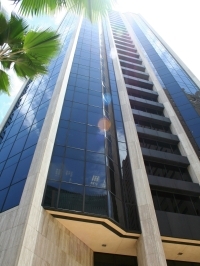 KMH was established in August 2002 to be the successor organization of Andersen’s Hawaii operations. The partners created KMH based on the belief that Hawaii organizations needed an accounting and business consulting firm with deep skills and the ability to deliver a wide variety of services, yet be unfettered by the increasingly unrealistic financial performance objectives mandated by national accounting firms. Our success has attracted national recognition with the invitation and acceptance of KMH into RSM US Alliance. KMH LLP is a member of RSM US Alliance with access to RSM International resources through RSM US LLP. Over the past several years, our vision has been reaffirmed numerous times with the addition of senior accounting and business consulting executives, including four partners, who joined KMH from other international accounting firms, and a 100 percent increase in both our client base and professional staff complement. Today, our practice consists of full-time employees, including senior executives, each with considerable public accounting experience. The size and depth of our practice guarantees our ability to respond promptly to both routine and unexpected service needs while maintaining the highest standards of quality. The evolution of our practice and our ability to organize ourselves to meet the needs of the Hawaii marketplace is further evidenced by our recent decision to form a separate entity, Accounting and Tax Solutions, LLC (AATS). AATS was formed to assume the accounting outsourcing and individual and small business tax compliance services from KMH. The formation of AATS was done to ensure that KMH could continue to provide services to Hawaii’s larger organizations, while AATS would focus on Hawaii’s significant small business sector. At KMH we offer the depth of experience and a breadth of services that rivals the largest accounting and consulting organizations in Hawaii. However, because of our commitment to this market and our flexibility, we are able to work with organizations and deliver services that the other national firms cannot or will not provide.